Yoga Marga, the yoga path is the path to the highest goal of life, and it can only be successfully tread by the veerya -- the one with warrior resolve. Our ancient Rishis described this path as a 'razor's edge'. As a well-trained aerial artist can walk a tightrope with safety and ease, so the well-disciplined yogi is able to walk this spiritual tightrope, this razor's edge. Indeed there are many paths by which to attain the same lofty goal. Some are well-trodden and secure for those who have the proper guidance. Others are more perilous and wrought with dangers. Some are direct, and others meander through the scenery, where if one is not careful, they may become distracted and lose the way. 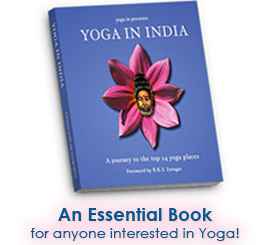 Marga is the Sanskrit word for path, hence yoga marga is the "yogic path." This path leads us from darkness to light; from ignorance to truth; from a mud-puddle in the parking lot at the base of the hill to the summit of the mountain with its breathtaking, panoramic views! In yoga, the various paths (branches) may wander through different terrain but the essential territory remains the same. Yoga drishthi, or the right perception is the foundation of learning upon which we tread. The ethical and moral shoes that we walk in along the trail are the yamas and the niyamas. 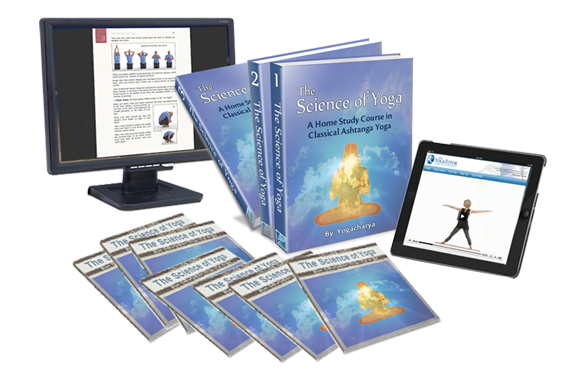 "Anyone who practices yoga can obtain success, but not one who is lazy. Only through constant practice alone can one achieve success in yoga." The yoga path is not for the one who craves fitness alone, though physical health is a good thing. The yoga path is not for the one who yearns to reduce stress alone, though relaxation is a blessing. The yoga path is not for the one who wants success in relationships and the material life alone, yet accomplishment is an admirable goal.